Is Security One a good choice for your home? Check out Security One Reviews and see if Security One Alarm systems are the best fit for you. If you have experience with a Security One Alarm, share your thought with our readers in our section for Security One Alarm Reviews. Security One has A+ BBB rating. However, we uncovered more than a few clues that the Security One Alarm Systems web site might not give an accurate picture of the true customer experience. As we investigated further…and dug into some online Security One Reviews, many of these initial concerns were reinforced. 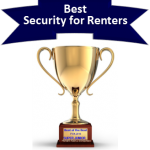 Our Security One review summary and detailed editor’s reviews are followed by the customer a section for Security One Customer Reviews and a FAQ section in which we compare Security One Systems with some of our top rated alarm companies. If you currently have a Security One Home Security system, we hope you will share your experience with our readers below. Potential Security One buyer or current Security One Alarm customer? Thinking about securing your home with a a Security One Alarm? …Or perhaps you have already been a Security One Alarm Systems user and looking to read or leave Security One reviews. The Home Security Advisor is intended to provide a comprehensive resource to assist you in finding the facts you’ll want to make educated decisions about home security and the best ways to provide protection to your property and loved ones. To aid you in your search for Security One Alarm information, and how they stack up against the most popular home security companies, check the helpful table of contents, with “quick jump” hyperlinks to assist you in navigating straight to the sections of interest. Questionable Credibility and Reputation. Better Options Available. See how Security One compares with the competition! Contract Length - 0 mo. Headquartered in Las Angeles, CA, Security One was launched in May of 2007. While their website boasts of an A+ BBB rating, actual online customer ratings are mixed. OK…well, perhaps Angies’ List would provide some additional credibility. After all, the site was proudly displaying the 2013 Angies list Super Service Award certificate on their front page. There is a complete lack of transparency on the website- making it impossible to compare the pricing of either services or equipment. Online Security One Reviews indicate issues with poor customer service, relocation problems, lack of disclosure of contract terms, lengthy service delays, difficulties in canceling service and auto-renewal clauses. The very first review provided on Security One Trust Pilot link (also on front page of the web site) expresses, in no uncertain terms, the customer’s displeasure at his account contract being sold to Safe Home Security….a company with a B BBB rating and 1,037 customer complaints. Security One offers a Takeover program and three additional monitoring packages. Once again, there is no online transparency in regards to pricing- so you will have to contact sales personnel for current pricing in your area. They do, however, guarantee to beat your existing rate….as long as it exceeds their minimum rate of $29.99/mo. for landline monitoring or $44.99/mo. for cellular monitoring services …and of course, sign a minimum 36-month contract. Hmmm…Take over existing equipment….sign a 3-year contract and pay at least $44.99 a month for cellular service? They also offer 3 additional packages…but, do not disclose any pricing. These packages all include cellular monitoring, their own Security One App a lifetime warranty and rate guarantee. The Security One App on Google Play shows a 4-star rating based on 5 reviews and has not been updated since May of 2015. Initial efforts to locate an iOS version on iTunes proved fruitless. These are all services provided in the most popular interactive app by Alarm.com. While cellular monitoring does protect against the prospect of an intruder cutting phone or cable lines to prevent an alarm system from notifying the central station of a break in….it doesn’t afford protection if the intruder just destroys the panel during the normal 30-60 second entrance delay. Speaking of Central Monitoring Station….While Security One claims to offer the best 24/7 monitoring services, nowhere do they disclose who provides their service, what their credentials are …and of course…how much you are going to pay monthly for the service. We recommend only UL Listed, 5 Diamond Certified monitoring services …ideally with multiple redundant back up locations. Security One claims to offer superior quality equipment from both Honeywell and GE. (Interlogix) However, their site displays primarily the Interlogix equipment line up….and, of course – NO pricing info. They do carry a full line up of equipment to meet most home security needs. For current package and individual pricing, you will have to contact Security One sales personnel. Unlike many security companies, there are no tutorials, manuals, videos or online chat systems available. Phone and e-mail support are available…but, hours of operation are not listed. The NR BBB rating is cause for concern and negative online Security One Reviews are plentiful. While Security One does offer some nice sales features such as a lifetime warranty, rate lock guarantee and up to $1500 in free equipment….the absence of any sort of pricing transparency on the web site leaves one with more questions than answers. So exactly what is the initial rate that is guaranteed for life? The only clue about pricing was a disclaimer on the Takeover program which indicates a minimum for basic cellular monitoring rate of $44.99/mo with a 36 month contract. It is a natural assumption that prices increase from there, based n the additional services one requires- such as home automation and video monitoring. While they claim an A+ BBB rating on the site, ….and online reviews reflect a number of customer concerns. The Security One App does not appear to have been updated since May of 2015…which coincides with the last Blog post on the site (the previous post was 11.14) Modern smartphone apps have desirable features like Crash and Smash protection and Geo-Fencing capabilities. Any of these things, in and by themselves, might not mean too much. But combined…they seem to add up to a company that is not moving in the right direction. It might be a good idea to steer clear…and take a closer look at some of the top rated alarm companies . Do Security One Alarm Systems measure up to our Top Alarm Companies? Please feel free to offer your comments, feedback on Security One Alarm Systems Reviews or share your experience with an Security One Alarm , below. How does Security One stack up to the competition? We feel that there are a number of better alternatives offered by companies that specialize in home security. Before signing a 3 year contract check out some of our top rated home security companies in side by side comparisons, below. Upfront Costs - $99 Min. 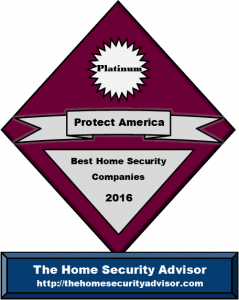 Can Canadian based Security One stand up to the #3 home security company in the US- Vivint? That can be a very difficult question to answer unless you are willing to meet with a Security One home security salesperson. There is virtually no pricing information available on their website. We feel this complete lack of online transparency is a major red flag. Typical of old school home security companies that employ high pressure sales tactics, you will have to set an appointment or call in for pricing details. Vivint is fully transparent regarding their monitoring rates and attempts to make equipment affordable for everyone with their newly introduced Flexpay equipment financing. This allows prospective Vivint customers the option to either pay for the equipment up front or over 42-60 months with 0% interest. If one were to purchase the Vivint equipment outright…there is no monitoring contract required! • Award Winning Vivint Home App- 4.5 Star Rating! Before committing to Security One refer to our Security One Reviews, and consider getting an obligation free quote from Vivint. ADT has been in some form of the home security business business for over 140 years. They are easily the largest home security company with a customer base of over 6 million customers…including the majority of Fortune 500 companies. 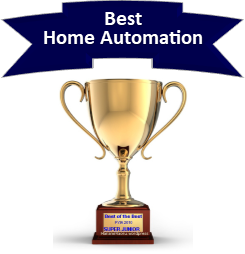 ADT has been recognized as the #1 Home Security Company by the Security Dealer Magazine -SDM since the turn of the century. ADT owns and operates 6 UL Listed, 5 Diamond Certified monitoring stations. In the event of a natural disaster, this gives ADT customers the advantage of having their calls re-routed to an alternate monitoring center. 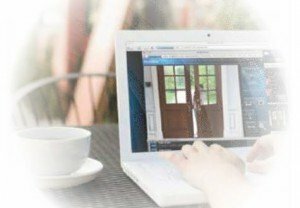 Though online reviews as well as feedback reveal issues with the quality and reliability of the Security One Alarm technicians, ADT Authorized Premier Provider – Protect Your Home provides highly skilled, experienced and background-checked specialists to expertly deploy quite possibly the most dependable, cutting edge gear. They make certain that things are all set up correctly so you are totally at ease with the functions connected with the system -which will be monitored by ADT home security – by far the most respected brand in the business. 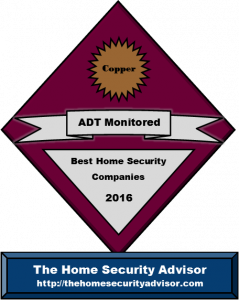 So if you are looking at professionally installed home security systems,we strongly encourage you to look into a company that has specialized in home security for over 140 years…and see what ADT is recognized as the #1 name in the home security! Frontpoint monitoring is available for as low as $34.99 with 100% cellular monitoring- and includes such premium services as Crash and Smash Protection and Geo Location Services with Alarm.com’s award winning interactive services. Opt for the premium Qolsys IQ panel, and you’ll also get a 7” full color touchscreen display that will capture a photo image of anyone who arms or disarms the system. This unit will allow you to view video displays, family photo slideshows get weather reports and severe weather warnings when the alarm display is not in use. Frontpoint offers more for YOUR money and is renowned for proving best in class customer service! Protect America delivers the majority of the very same advantages over the Security One Alarm systems. They keep it uncomplicated using the GE Simon XT control panel. The Xti is available as an upgrade or Simon XT Touchscreen keypad can be purchased -by those looking for a full color touchscreen display that is separate from the base control unit. Apart from appearance, utilizing an independent keypad from the entrance decreases the risk of a crash and smash burglary in which the thief tries to disable the system which will help prevent a transmission from getting delivered. 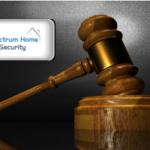 Protect America security alarm buyers get their selection of landline, broadband or cellular service- starting at just $19.99 a month. Protect America packages include up to $1400 in FREE Equipment! That is enough to provide real protection for your home an family…with practically NO out of pocket up front costs! If you are looking for the Best Value and Lowest Up Front Costs– check out Protect America to see what they can do for you! 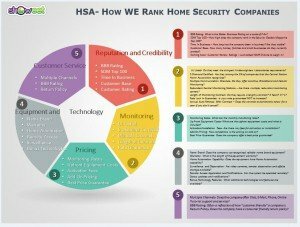 Having a 98% client approval score, this Utah based home security company (Link Interative had been recently launched as their national Do-it-yourself burglar alarm option) offers more than Sixty years’ practical experience setting up high quality home alarm systems as well as offering exceptional customer support. They feature the very latest cutting edge wireless solutions coming from 2GIG technologies as well as one of the most extensive product selections you will find anyplace. Their systems are pre-progammed and configured for straightforward DIY set up. In addition they possess the know-how to work alongside the more advanced DIYer who would like to take over a pre-existing system or perhaps put in a more advanced custom wireless home alarm. Where unfavorable Security One reviews from customers are definitely not unusual, it’s nearly impossible to locate a negative Link Interactive review. Their A+ BBB standing (under parent company-Mountain Alarm) includes 0 (that’s right…0) customer grievances submitted during the last three years. And there is still more to the Link Interactive story…. AND full home automation functionality for just $29.99 a month! Want video…no problem…just $5.00 more…. If you’re looking for great service,equipment and the lowest monitoring rates? Check out Link Interactive, today! Security One alarms will be installed by a professional, but that’s not at all times the best thing. The actual performance of one’s alarm system is essentially determined by the quality of the installation technician. Online Security One Alarm Systems reviews frequently express dissatisfaction and recurring problems which unfortunately are caused by inadequately qualified or perhaps inexperienced contractors. At one time home alarm systems needed expert installation . Home alarm systems were originally complex and require drilling holes, fishing wires as well as programming devices. These days, contemporary wireless technologies have progressed enough where setting up an alarm system coming from a trustworthy Do-it-yourself Alarm Company entails installing a couple of sensors and calling in to activate the system. Armorax pre-programs and configures the unit just before sending it out…so set up is really a breeze. Consequently, over 90% of DIY alarm customers found the system “easy to install”. Some of our preliminary enthusiasm for Armorax has now decreased off considerably as the provider continuously exhibit indicators that it’s having difficulties. The Better Business Bureau report has slipped off dramatically from an A (from the period of the original Security One review) to a C+. In our secret shopping endeavors, we have discovered that even the sales department doesn’t pick up calls. Inbound phone calls are generally handled by way of a voice mail, which advises the caller to contact 911 if this is an emergency…or to stay on the phone for the sales representative. Following several minutes or so on hold, one is inevitably met by means of an answering service who will take a name and phone number for a return call. In addition, Armorax has already switched companies three times in the last year. They have switched from the innovative 2 Gig lineup, briefly offered the Interlogix Simon XT, and are also now offering the less well known Resolution Helix control panel. They also have dramatically changed their monitoring fee structure 3 times during the past calendar year. With regard to online Armorax reviews, you will see that virtually no 2 sites indicate the same pricing structure. They initially featured no contract plans and also plans with free equipment and monitoring rates as little as $19.99/mo. Then they marketed an all inclusive plan for $24.95 with a free system. Their present-day offer costs $99.00 up-front combined with basic monitoring starts at $34.99. The Mobile APP is additional! Furthermore, the total absence of online transparency does nothing to inspire confidence. At the moment they’ve got a one page site that features minimal information about this company qualifications, products, price, monitoring provider as well as services, Mobile App, Installation instructions or even videos …or pretty much anything other than that that a potential customer may want to learn. Although the company exhibited terrific promise initially, we are now no longer enthusiastic with regards to them as a decent alternative to Security One. In our judgment, you can find more effective selections. Below is the context of the original comparison in 2017. The information is outdated, and is for comparison only. Armorax surpasses the the Security One NR rating with an A BBB Rating. They are fully accredited with the BBB , and have compiled an impressive 88% positive reviews on the BBB reviews page. This translates to a 4.67 out of 5 stars! Armorax has a simple pricing structure…which blows away the competition. The standard Armorax Blackbox system is a top of the line 2Gig Technologies GC2, and it is FREE with a 36 month monitoring agreement! Armorax add on sensors are competitive with the other wireless DIY alarm companies. (for current promotional pricing…just give them a quick call at …866-355-0640) Overall, the Armorax add ons are roughly half the price of professionally installed components. But, the monitoring price is what really sets Armorax apart. Right now they are offering Cellular Monitoring for just $24.95! Above and beyond offering a comprehensive interactive cellular monitoring rate of just $24.95/mo.,Armorax is shaking up the alarm industry by combining that with top of the line, premium 2 GIG components…for free. 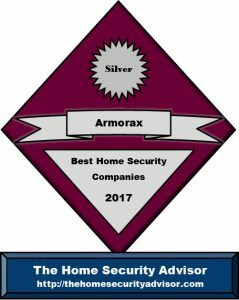 In recognition of such a superior value, Armorx received our Silver Award as one of the TOP Home Security Companies of 2017. While it is difficult to find on the site…Security One Cellular monitoring starts at $44.99/mo. That is $20 a month more than Armorax! And doesn’t include Alarm.com’s advanced monitoring features. Security One Alarms use their proprietary App that hasn’t been updated since May of 2015. These functions are showcased with the Armorax Blackbox featuring a top quality touchscreen display screen on the 2Gig GC2 control panel which can display local weather, five day forecasts and give severe weather alerts in an emergency. The GC2 is outfitted with an integrated Z-Wave transmission element which enables complete home automation and supervision capacity for just about any Z-Wave compatible device! There’s a moderate charge of just $49.95 to be able to upgrade to the GC3, which provides additional functions and capabilities as well as a full 7″ touchscreen display screen. 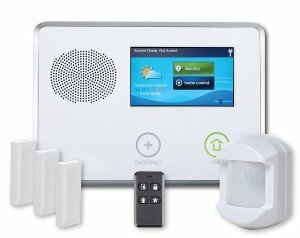 Armorax delivers state of the art, DIY security and home automation products with the lowest available cellular monitoring that includes Alarm.com services. With a FREE premium system and full featured monitoring services for $24.95/mo, Armorax is truly an unbeatable value. Is it compulsory to secure an alarm permit to connect a Security One alarm system? As it happens, you don’t need a permit when the system is not going to be professionally monitored. Nevertheless, because your Security One burglar alarm will be remotely watched with the objective of utilizing emergency response providers, lots of local towns must have a permit. Usually, this will require standard registration with area law enforcement or sheriff’s dept together with a nominal charge. You will more than likely be also asked to present the company name, address and phone number of Security One, in addition to the monitoring station, in the event the two companies are actually different. Wherever permits are expected, most towns will administer a 1-time fee to register your security system, although many cities and towns must have an annual renewal additionally. In towns with higher robbery and false alarm rates, failure to register can cause some sort of refusal to respond to locations which don’t have a burglar alarm permit…although this really is somewhat exceptional. nonetheless, you might be subject to various other fines any time police officers, fire or perhaps emergency medical support are sent to an address with no permit when it comes to cities where one is demanded. Even if a license is generally obtained, nearly all cities will likely assess fees for multiple false alarms. Most cities now have regulations in place in which the initial 1-2 dispatches don’t require fees. Subsequent to that penalties and fees often escalate from $25-50 for that 1st enforceable offense…to $100-200 for consequent repeat offenses. Hence, it’s very important that home security system operators get a hold of their neighborhood police department, determine what permits are needed, develop a full understanding of the area rules and make sure that they consider appropriate steps to prevent false alarms. As mentioned previously, false alarms caused by a Security One alarm system could quite possibly result in steep fines. Most Security One Reviews don’t divulge this, but the vast majority of calls police departments receive from security companies are a result of false alarms. As a consequence, municipalities can charge fines to homeowners if they go beyond a particular number of false alarms. To prevent this from happening to you, the following are some recommendations for preventing a false alarm with your system. • You should make sure everyone knows how to disarm the home security system. Your security alarm will have a master passcode, as well as a number of additional individual codes that one can program into the system. Be sure everyone knows their code as well as can disarm the home alarm system. • Make sure that everybody also knows about the password. If there is an alarm, the central monitoring station will generally contact the home initially and ask for the password to verify that the man or woman picking up is definitely a legitimate party. In the event of an alarm, if the person responding to the telephone call cannot supply the correct password, the authorities will most likely be dispatched. • Make sure that doors and windows are properly secured prior to arming the system. Doors that are left somewhat ajar might be blown open in your absence and set off the alarm. • Make sure that all sensors are attached solidly and in the proper places. Motion sensors should be positioned at a height of 6’ and clear of fans, heating units, fireplace, and ac units. • Take note of items which might possibly set off a motion detector. • If at all possible, your pets should really be limited to areas apart from motion sensors. In cases where this is simply not doable, Security One has “pet-friendly” or “pet immune” detectors which can screen out smaller sized pets under 40, 50 even 80 lbs. Motion sensors may also be set up to provide pet alleys whereby pets can move freely about. Another option is to employ glass break sensors as an alternative for motion sensors. • It’s essential to remove and replace batteries when needed. Security One alarm systems employ Li-Ion batteries that have at least a two year expected life expectancy. Your Security One Alarm will in most cases alert you as soon as the batteries are getting low along with warning you if there is approximately month of functional life. It is a good idea to acquire surplus batteries and keep them on hand so you can remove and replace them as soon as possible. If you get a system error alert, do a status check and examine the sensor. Contact customer service whenever it looks to be broken. Keep your Security One customer manuals/codes/passwords in a safe designated location where they might be checked if necessary. Although, the right way to avoid false alarms is to use your system on a consistent basis and be sure that everybody knows how to operate the system. How often do I need to test my Security One alarm system? It is recommended that you test the security system at least once a month. While you may not find it in your research of Security one alarm reviews, it is not uncommon that some people may go months or even years without testing their system. Most people don’t realize it, but, even though the system is self-supervised, it is up to the owner to test the system periodically to ensure that your alarm system is operating correctly. It is especially important to check the system if there is a recent change in internet or phone system. For information on how to test your system, reach out to customer support. Can Security One lower insurance premiums? Almost all insurance carriers offer some sort of reductions on policies when the homes are safeguarded by Security One alarm systems. Discounted rates range from 5-20% in most situations. Security One reviews point out that one must furnish proof of installation. Also-be sure that the insurance company is aware if fire, flood and freeze protection is included in your system. Security One should furnish documentation that details the services. There are many questions you must determine before buying any of the Security One Alarm Systems. Since you’re probably committing to a 3 or 5-year written contract, it is very important to consider a variety of criteria before signing any contract. Do it yourself or professionally installed Security One Alarm Systems? One of the primary things to consider is whether or not you wish to put in the unit personally or simply pay money for a professional installation by Security One. Traditionally, systems needed to be hard wired directly into the home. This could involve drilling and cutting openings into the walls, fishing wiring, and complex mounting and considerable programming. The technology has actually been drastically improved over the years to make the equipment incredibly intuitive…and simple to install. The more experienced DIY alarm companies have dramatically streamlined the installation methods to make it simple for even the most technologically challenged individuals. The better companies pre-program the total system before mailing it out, to make sure all the end user has got to do is position the equipment and consequently get in touch with customer support to have the system turned on. In excess of 90% customers observed our best Do-it-yourself security alarms systems very easy to install! Though an expertly installed system might be easier for some, most found the top Do it yourself security service providers ended up being straightforward to install, uncomplicated and saved consumers a considerable amount of cash over a professionally installed system. If you opt for professional installation, you might want to consider an ADT monitored system. If not – after checking out online Security One reviews, be sure to find out how experienced your Security One installation technician is and if they have been background checked as well as subject to drug screening process. Be sure to ask if the company is using their own employees or utilizes 3rd party sub-contractors. Working with subcontractors isn’t always bad (they may also have more experience than company employees) nevertheless ensure they ought to have actually gone through extensive screening before allowing them into your house. Is the Security One Alarm easy to use? Security One Alarm systems have advanced tremendously throughout the past decade. And as a result one of many primary advantages of innovations in technologies is the fact that Security One Home Security places a massive amount of emphasis on making the systems easier to use. Security One alarm systems go with sleek touchscreen display user interfaces which are user-friendly and even prompt the operator all the way through tasks such as arming, disarming, bypassing zones etc.. Currently, Security One systems have completely automated interactive mobile software utilizing home automation capability that allow you to keep on top of your house from any place around the world by using computer access. Several systems are introducing voice control functionalities via their own equipment, Google Home or Alexa. These let you execute common tasks merely by delivering some sort of speech instruction. Security One Home Security will likely follow suit in the near future. While you might find Security One Alarm reviews may indicate complaints about installs, service or possibly billing troubles, you’ll hardly ever see Security One reviews that say that Security One Alarm systems are complicated to control. Following is a partial list of attributes and benefits that house security buyers can enjoy when they decide to invest in a home security system. CO Monitoring -Fumes from running car motors, gas stoves, generators, badly maintained heating methods, burning charcoal or wood can all be fatal if undetected. base unit, and enable the user to speak directly with the monitoring system when equipped with 2-way voice communication. automatically when you arm or disarm your system. The thermostat could be adjusted manually from your smartphone with interactive applications. as a roommate leaves. Accessibility is controlled via the safety system. even receive an e-mail notification with video clip once a package was delivered. the system is armed or disarmed when the kids get home from college. system. Your organization should provide a certificate of setup detailing the types of services for that your system is tracked. significantly. By optimizing your heating and lighting schedules one can reduce consumption and costs by as much as $200 a year. Good Security One Reviews offer common sense suggestions to protect your home…even if you don’t get a Security One Alarm. 1. Keep the home properly illuminated. Outside motion lighting is a great deterrent against nighttime property invasions. 2. Make the home appear occupied. Set lights as well as electronics on random timers to provide the appearance somebody is home. Have a next door neighbor park their vehicle in your driveway. 3. If you are going on vacation, suspend newspaper and postal delivery service, and make preparations to have the lawn mowed. 4. Make sure expensive goods are not evident from the outside by drawing the blinds. 5. Don’t leave a key under the doormat, plant pot, etc. around the front door. 6. Do not announce that you’re going away on social media, e-mail autoresponders or answering machine messages. This tells criminals your home is unoccupied. Get a professionally monitored home security system. You will definitely rest better knowing your property is protected. Thank you for visiting! Please feel free to share Security One Reviews, below or follow us, above. If you or someone you know has experience with Security One or Security One Alarm Systems we hope you will share that experience in our Customer Reviews.